Kids Connection is Divine Redeemer's Sunday School for children in preschool (age 3) through grade 6th. * Join us for children’s lessons, games, hands-on activities, music fun and more! Divine Redeemer uses the Answers Bible Curriculum, which covers the Old and New Testament over multiple years. Students get a thorough understanding of the authority and primary teachings of Scripture, while learning to apply God’s Word in their everyday lives. This curriculum was developed by the Answers in Genesis ministry, which also operates the Creation Museum and the Ark Encounter. Please join us on this exciting journey! Children meet at 9:15 AM in the Media Center, down the hall from the School Office entrance, for a brief welcome. Then they move to a classroom with their age group and teacher for the remainder of the hour. Parents are encouraged to personally pick up their children at their classrooms. Signage is used to help guide parents and classroom maps will be available in the Media Center. Adults, you can help in many ways! Volunteers help connect kids with God and his Word by teaching (regularly or as a substitute), preparing materials, and praying for this ministry. Contact kidsconnection@drlc.org or call 262-367-8400 to find out how you can assist in this important endeavor. Please note that the curriculum provides all the resources you need to teach, and most teachers report that they need about 30 minutes to an hour to prepare for a weekly lesson. *Your child should be 3 by September 1st to start Kids Connection in the fall. If your young child is not potty trained, please communicate this with the director in advance. If your child has allergies or special needs, or would benefit from classroom modifications, please speak with the director. It is important to Divine Redeemer that all children feel welcome and experience the love and forgiveness of Jesus!" 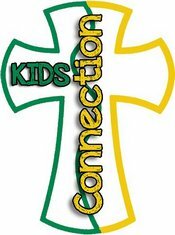 Click here to register for Kids Connection The cost of the 6th grade Kids Connection book is $25 per student. The book will also be used in 7th grade confirmation, so families will not be charged for it in 7th if they keep it.